Izannah Walker Chronicles: Happy Thanksgiving! I hope that all you Izannah lovers out there have a wonderful Thanksgiving filled with family and gratitude for all we have. That's something I've been thinking about. This blog, which started on a whim on January 1, 2008, is an expression of gratitude, really. 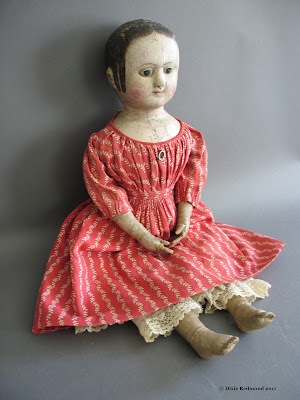 I created it because I wanted to share pictures of the wonderful Izannah Walker dolls I've been able to study and document. I'm so glad I did. It is a wonderful joy to be able to create and study and read and learn. 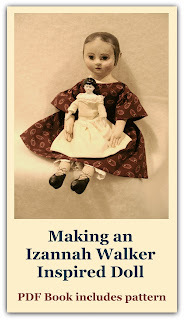 And I am so glad that there are so many of YOU out there who love Izannah Walker dolls as well. Have a safe and happy day tomorrow! Have a joyous Thanksgiving, and I am thankful for all the work you do for us Izannah lovers!